Which sector of our state’s economy touches all of us each and every day? It’s North Carolina’s green industry. Think of it as all things green that are not related to agriculture. Because the Triangle is one of the fastest growing regions in the country, North Carolina’s green industry is growing exponentially. In 2017, it was valued at $8.6 billion. Nationally, the green industry hires over 300,000 people each year who (1) produce and market plants; (2) design, install, and maintain landscapes; and (3) create and market related equipment and products. It’s an industry comprised of nation-wide corporations and locally owned businesses where men and women succeed and opportunities abound. Perhaps more importantly it is an industry that, “Has the power to improve our lives, but also helps manage the massive growth we are experiencing and creates an environment that will be livable, green, and beautiful.” That’s from Avery Bartlett-Golden who is a student at NC State University studying landscape architecture. 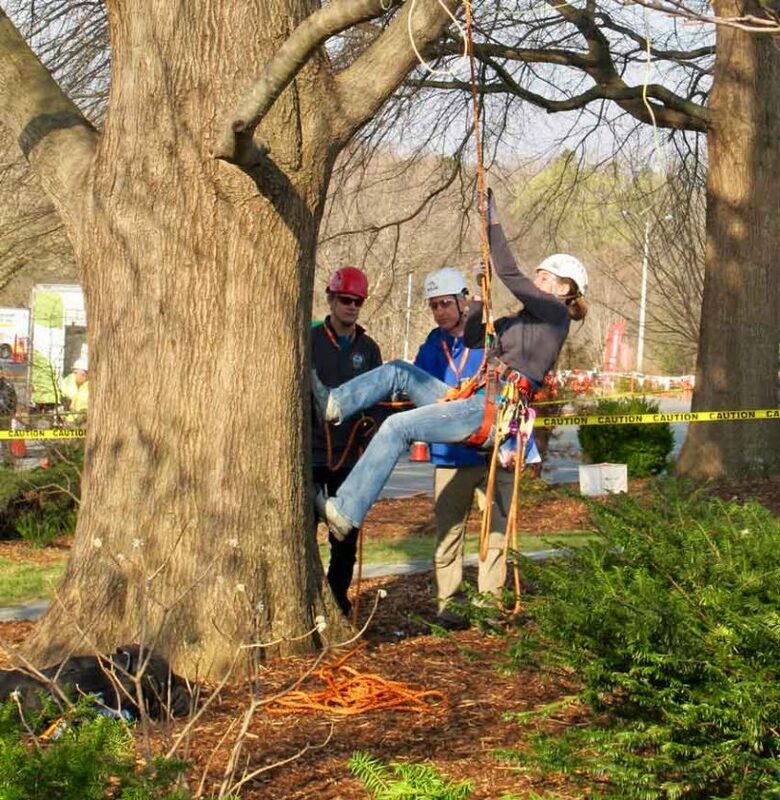 Avery and his teammates were among the 775 students representing 61 schools at the National Collegiate Landscape Competition, which was held at Alamance Community College this spring. It’s noteworthy that North Carolina was the only state with two schools finishing in the top ten in 2018—NC State and Alamance Community College. Alamance Community College was honored to host this event. Over 400 industry employers participated and 75 scholarships totaling over $100,000 were awarded during the event. For four days our state was the epicenter of this dynamic industry. Misconceptions about the industry often lead people to think that it is mowing lawns and pulling weeds all day. The green industry is actually one of the fastest growing entrepreneurial sectors of our economy and owners can enjoy substantial growth potential. These students are entering a vibrant industry of people doing what they love who are truly happy working hard to make life better. Everyone I talked to at the competition explained how their focus contributed to our greater good; tree care, edible landscapes, hydroponics, vertical gardens, lawn care, and the list goes on and on. Speaking with dozens of faculty, staff, employers, and students participating in events I was struck by how hard everyone worked. Faculty, staff, and employers had volunteered hundreds of hours of cold mornings, long days, and late nights to help these students succeed. The spirit the competitors brought to this event bodes well for the future of the green industry. They helped each other—teammates and competitors alike. At the conclusion of the tree-climbing event I asked one of the participants what she liked best about the competition. Expecting to hear how she enjoyed climbing trees I was taken aback when she responded, “We’ve taught each other how to do new things, it’s been amazing to see how we all came together as people who love the environment and want horticulture to have a bigger impact on the community.” These future stewards of our environment are passionate and capable, and I’m hopeful they will bring about a greener world.